Luke Page makes a trademark driving run through midfield during RCA's biggest win of the season against Penrith. Sunderland RCA play at Sunderland LGV Park, Ryhope in the Northern League Division 1. We also play in the Sunderland Sunday League Premier Division. 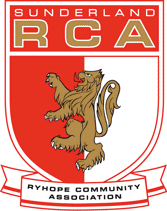 Value for money and excitement with the Northern League Division 1 in Ryhope. The standard admission prices for highly competitive Northern League football are £6.00 and £4.00 for concessions. Non-standard prices may apply to particular games and will be announced in advance. Season tickets are £70 and £50 concessions, unchanged from last season, but please note that, because of changes in FA rules, these no longer include FA Cup and FA Vase games. Sunderland RCA is a family friendly club: new fans and spectators are always welcome and entry for accompanied children is free. The Fans Forum is here. Reports and information from previous seasons are here. Grass Routes, former Northern League Chairman Mike Amos's blog, is here. It's that time of year again when we ask supporters to vote for their player of the season. Please click here to vote. The poll will close on Wednesday, 1 May at 10pm. The presentation night is on Saturday, 4 May at 7pm and will be held at the Penshaw Suite, Nissan Sports Complex, Washington Road, SR5 3NS. Entry is £5 per person and includes food and entertainment. Dave is pictured above with manager Martin Swales shaking hands on the deal. All done and dusted by five tonight, and you can all enjoy a few months of summer, while the groundstaff of Graham, Dave and George graft on the pitch. No doubt it will look a picture come August. They love it really, and where would we be without them? They can be a bit grumpy at times, but they are priceless. Anyway, been a cracking season, with a lot of ups and a few downs, so for this final View of 2018/19 I thought I would give you the benefit of my review of the highlights and lowlights of the year. Best games for me? Well, the trips in the FA Cup and Vase to Clitheroe and Garstang will not be forgotten in a while, great fun and plenty of goals, not to mention a decent pub or two, and that last five minutes down at Clitheroe was something else. And the win in the mist at Shildon, which has been a long time coming, or so it seems it to me. It was fantastic to finally break our Shildon hoodoo with good wins in both the Vase and League, and both away as well. We continued our habit of often being better away from home than at Meadow Park, or it seemed that way to me. Just one of those things I think, but it is striking how often it has been the case over the past few years, and this season was no exception. Good wins as well against Consett, Bishops and Hebburn, with that first twenty minutes against Hebburn at Meadow Park maybe the best we played all year. All three clubs have had great seasons, which makes the wins special, and of course there was the memorable win over Sunderland AFC in the County Cup, which always looks good on the CV. 1 - Nickname - Sam or me and Dom [Moan] get called the Chuckle Brothers, not sure why the lads think we aren’t the brightest. 2 - Position - Centre half, right back or the bench. 3 - Previous Clubs - Middlesbrough and Scunthorpe. 4 - Best moment in football - Playing in the same team as my Dom [Moan]. 5 - Best goal scored - Only ever scored one so it’s got to be that one. 35 yard volley from the edge of the 18 yard box! Probably one of the best headers you’ll ever see. 6 - Best player you’ve played with and against - Best player I’ve played with by a country mile is Dom [Moan], great player. Against, is probably Dom and only ever played against him in training when he asked me to let him score. 7 - Best and worst in training - Best is Dom Moan. Always gives a full 40%. Worst has got be Swaz for obvious reasons. Nobody wants to be on his side in training as he’s that bad, not sure I can put into words how bad he is. 8 - Best and worst craic - Best is Dom. Me and my Dom are always debating Brexit, politics, the environment - don’t get me started on the damaging effects plastic is having on the environment - real important stuff that the other lads don’t really understand and I’ve also just found out that a ‘joiner’ is someone who joins pipes together. Worst has got to be Swaz, tries to be funny when he’s clearly not. 9 - Best and worst dressed - Best is Dom. Proper stylish and is always smart, like a model, straight out the catalogue or the catwalk. Worst is Swaz. Doesn’t realise he’s nearly 60 and tries to copy off me and Dom with his dress sense. He’s now started wearing ‘Gordon McQueens’ which look like a size 3 and jeans with a turn-up, just looks stupid. 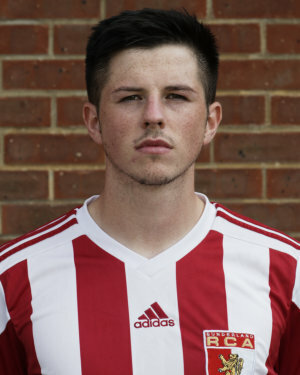 10 - Favourite player at RCA - Easy, Dom Moan. Great player, great lad and my cousin. Can play in a few different positions, is quick, strong and has an eye for goal. The complete player in my eyes. Highlights from midweek's 2-1 victory over local rivals Seaham Red Star. Goals from and Davis and O'Neill gave RCA the three points, while the visitors scored a sublime first half goal from Kerr.